» WHAT IS Business Consulting? » WHAT IS Executive Coaching ? » WHAT IS Success Coaching? Deborah Whitehouse is a coaching and business consulting expert. She is a Board Certified Coach by the National Board of Certified Counselors, and holds a Master of Science in Mental Health Counseling. Deborah has many years of experience starting up and leading business ventures, and combines this expertise to provide unique value with proven results for her coaching and consulting clients. SIGN UP FOR A FREE SESSION TO RECEIVE INFORMATION ABOUT CONSULTING AND COACHING. What’s The Opposite Value to Success? Why Your Worst Customer is Your Best. Growing your business requires that you get the design correct, right from the start up or from the point you realize you are off track. In strategic planning you can look at your business as if it were a canvas from which you write your success plan, or you can define the "vision, mission, values and strategy". Consulting for Growth services take you there and beyond using various planning methods and tools you may not be aware of. Being bottom line focused helps you deliver on the promises made to your clients, shareholders, employees and yourself. You know that planning is the root of your business success. Working with Deborah and the resources found at Consulting for Growth, could well be the 'game changer' towards your reaching success. Change for change sake is never good and that happens when we are reactive and not proactive. 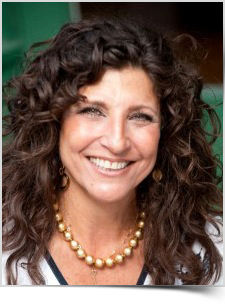 Transformative change, or change that significantly improves the organization or person, is what Deborah specializes in. There are several elements in an organization that must be known and understood before transformative change can be managed. Culture is one of those elements. More than a buzzword or figment of our business imagination, everything that people are engaged in has a culture. How does culture affect your business? Actually, it's your business culture that drives the people who make the business succeed. Is it performance oriented, or is it output driven? Knowing your culture is necessary, but acting upon this key piece of business now can well become a differentiator for you in the near future. If you take the time to understand your culture you will build a platform for success. But understanding your culture is one piece of the puzzle. You must build upon it and put the recommendations gained from your analysis, into action. After analysis, defining the improvements and then delivering the actions with an effective communication plan can do just that. Communication is the life blood, or conduit, upon which a business culture thrives. Your people, patrons and stakeholders all depend upon it; without it you risk drought of thought, talent and future business. Deborah's experiences as a business owner, change management specialist as well as in company acquisitions where she integrated employees into a new company, have given her a unique perspective in understanding the effects and outcomes of transformative change and company culture. After defining your business strategies and company culture, the next step is to understand your performance so you can manage the areas most needing help. This activity ensures you will have sustainable growth. If you are not seeing the results, finding the 'gap' or area where things are not working well, then setting forth an action plan to fill that gap is the only way to make sure you will be continuously successful. Similarly, if you have achieved results from hard work, sometimes paying off with a good contract or stipend, how can you be assured of continued success? Have you analyzed, prioritized, manipulated or streamlined your processes? Employees, production and stakeholder interests; all require accountability and rewards, plan adherence, measurement and correction. Working with the strategists and leaders in your company and with HR, Deborah can help you create and grow a Performance Culture. One in which no one is fearful of failure from taking measurable and healthy risk. The only failure in terms of performance management is to not take appropriate risks and to not reward those responsible for success. Building processes that instill accountability, measure outputs, mitigate risks, enhance quality and employee morale will create that performance culture. A Performance Culture is about people who enjoy working for you. They are fearless and proactive using tools and resources that reduce unnecessary work thereby increasing their output beyond your expectations. At Consulting for Growth, Deborah can help you develop a Performance Culture in your company. Through Deborah's experience, along with others in her Community of Practice, if needed, Consulting for Growth offers services to help you home in on a plan that creates sustainable growth now. If you have a contract or client on the edge, or you require unbiased brainstorming to expand your client base, or you want to create a client development or resurrection plan, Deborah offers these services. Skilled in designing and charting successful business plans, Deborah will work with you to integrate and clarify your marketing concept and build it into your total picture for you to demonstrate to your financial partners your business success plan. Having a complete business plan integrating a successful marketing route is paramount to getting the resources you need to grow your company. Equally important is building and maintaining client relationships. All these marketing activities are required to sell your people, products and services effectively. Look around your business. Do you have the right fit of talent to needs? Have you done all that's necessary to ensure this most precious resource is engaged, trained and productive? From line staff, to key hire to executive, every person has a purpose in your organization. Have you analyzed this and do you take full advantage of all the talent, raw or otherwise, that is available to you? Deborah works with individuals, teams, committees, executives and Boards to maximize the talent so your client needs can be met. She analyzes then delivers to ensure just the right dynamics are in place to help your team, division and entire company succeed. From one on one coaching, to interactive workshops and training, to facilitation, Deborah will help you get your people working at top speed. Your people are the branches from which the bounty is derived. They need to be nurtured. Now more than ever employees and those with great ideas are breaking away to become entrepreneurs! As daunting as starting a business can be, not starting one is worse if you think you have what it takes. Your first step is one of discovery - of yourself and your entrepreneurial skills and if your idea or product will net profit and results. Going it alone, as some have chosen, can prove to be a 'slippery slope' rather than a fruitful venture. Eight out of ten successful business entrepreneurs say they sought outside help when starting up their businesses, to guide them. Should you? Using the experience of beginning two different ventures, Deborah has what it takes to consult with start-up companies. She developed a full 'mentoring program' based on methods developed in working with small, minority and start-up companies, so they could truly be competitive with their larger counterparts. Today, this program is customized for each new company to assess and address the specifics needed to be successful. Holding leadership positions in several Fortune 500 corporations, Deborah combined her entrepreneurial experience with an understanding of how larger organizations function to meet shareholder expectations. Her well-rounded experience is relevant for any size company at any level of experience. Companies alike can benefit from developing an 'entrepreneurial culture' because locked inside every company are those who possess or can possess entrepreneurial thinking. In most cases, this philosophy and skill should be encouraged because it produces innovation, independence in thought and actions, productivity and high employee morale. Entrepreneurial thought and action can be managed well to maintain business stability AND growth. Stability balanced with sustainable growth which is produced by innovative thinking and an entrepreneurial mindset, are the hallmarks of success.